Starting today, PlayStation Vue will be supported on Apple TV (4th generation), leveraging Apple TV’s latest hardware to create an innovative experience. You will be able to take advantage of Apple TV’s Siri Remote and easy navigation with touch, while enjoying PlayStation Vue’s sleek look and feel. 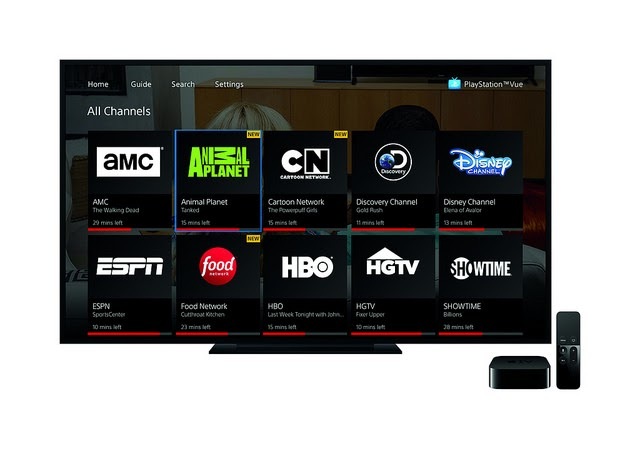 PlayStation Vue brings popular programming to Apple TV, from live sports networks like ESPN and NFL Network, to premium channels like AMC, FX, HBO, and Showtime.